This beautifully updated home has so many amazing features! 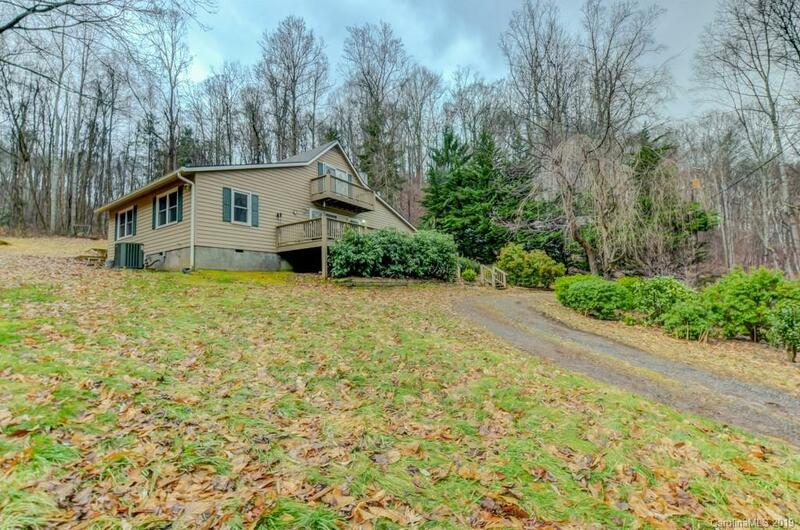 Outside you'll find a great deck that wraps around the home & leads to a covered, screened back porch w a hot tub. There's also an upper-level deck. Upon entering, you will see the beautiful living room w a wood burning fireplace that leads to the kitchen & dining. The kitchen has built-in new, ss appliances, a built-in desk, dining area, & a plethora of cabinets & counter space. Throughout this home, you will find ample storage! The spacious master suite is also on the main level, along w a great bonus room, w 2 additional bedrooms & a bathroom upstairs. The master comes complete w a gas log fireplace, walk in closet, garden tub, his/her vanities, & ample cabinet space. In one of the upstairs bedrooms, there are doors leading onto the upper deck. The roof was put on in 2015 w a warranty, the stairs were just redone & the laminate wood floor is brand new! This home has so many amazing features throughout! It's a must see!